Microsoft's Windows Media Center has been around in various Windows editions since Windows PX Media Center Edition and Windows 8 is no different. 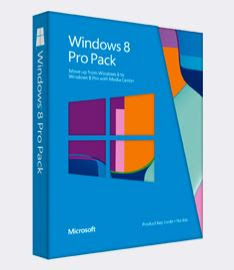 There are only four versions of Windows 8, but if you upgrade to the Windows 8 Pro edition, you can also purchase the Media Center pack. As an added bonus to early adopters, Microsoft is giving the Media Center Pack for free until the end of January, 2013. "Windows 8 Media Center Pack is available at no charge for a limited time only through this promotional page on Windows.com. If you obtain Windows 8 Media Center Pack through any other location fees might apply. Offer valid from October 26, 2012, until January 31, 2013, and is limited to one product key per email address. You qualify for this promotion if your PC is running Windows 8 Pro. Additional hardware may be required to watch and record live TV. You must provide a valid email address to receive your Windows 8 Media Center Pack product key. Your product key must be activated no later than January 31, 2013. Microsoft will only contact you at the email address you provide to send you your product key and to remind you when the activation period for your product key is ending." To claim your Media Center Pack for Windows 8 Pro, check out Microsoft's Windows website.